Abe and Roberto return to continue their journey down the Greensight! 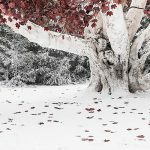 We traverse through the happenings of episodes 3 and 4 of Season 01, “Lord Snow” and “Cripples, Bastards, and Broken Things” as we look for more clues and foreshadowing of what is to come eight seasons later. 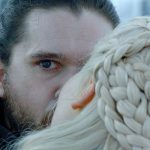 Plus news on the running times of Season 8 episodes and rumors of the upcoming adventures of Benioff and Weiss in a galaxy far, far away! I just discovered you in prep for the final season of GOT! Love your podcast!! Comment about your review of Season One episodes 1 & 2- I believe Ned would trust Catelyn w knowledge about Jon but would feel she was safer not knowing and he did promise his dying sister. For review of Season One episodes 3 & 4 you mentioned last time we saw Uncle Benjen aka Cold Hands. We saw him in season 6 w Bran et al and in Season 7, putting Jon on the horse!